During the 2018 NAB Show, we had a chance to speak with Primestream’s David Schleifer, COO, about media asset management, trends driving the industry how the company is evolving to meet customer needs. Primestream is a leading media management company, offering a suite of end-to-end tools for broadcasters like Vice, NFL Network and CBS News. 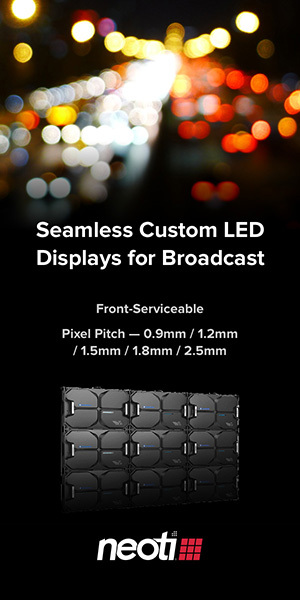 During the NAB Show, Primestream introduced the Review Hub collaborative review tool along with NDI support for its products. What are the biggest challenges you’re seeing right now with asset management and delivery right now? It’s interesting because you started talking about things that, for me, have to do with mature markets and mature market focus and product marketing management and analysis point of view. I actually don’t think that there are huge technical challenges that are facing us right now. I remember conversions to HD, things like that, that really required retooling. I think the biggest challenges that both we and our customers face have to with how we do business and how we deliver solutions. I took over the development team about a year and a half ago, and I looked across our product, I realized there’s a tremendous amount of power in the product that customers couldn’t get access to without coming through us. I thought that was a problem. We spent the last year opening up all of our modules to be configurable… That’s part of our approach to making it easier to install and configure the technology. So this means you’re moving more towards a subscription model? Our Review Hub is a software as a service (SaaS) tool. It’s a multi-tenet, cloud-based implementation, which is Sass-based. Why is media asset management getting more attention at this year’s NAB Show? I think that for a lot of people media asset management has always been embedded. It’s been part of the system. Now, as you componentize the technology, and break it out, asset management starts becoming this thing that is standalone and people start to look at it harder. Talk about the collide of metadata and monetization for content? Ultimately, if you can’t read that metadata you can’t monetize it. Do you trust AI to populate your metadata when you’re not going to find out for ten years whether or not it actually did it right? Because your monetization depends on it. But there’s also the lifecycle management. You can’t afford to store it all, right? So you’ve got to be able to age stuff off, whether it’s history, wherever it’s going, it’s the cloud. Monetization is important in those ways. So we have, for example, in the Xchange Suite ecosystem, the concept of project conversion. You can archive the whole project. Bring the whole project back or move it between locations. Projects are sort of the beginning, you work through until the end. Then we also have the concept of versioning, so you can edit just one piece or create 20 different variations based on needs. Those are fairly complex things that we manage, and maybe that’s why we don’t think asset management is really that hard, some people are just struggling with it right now. A large trend we’re seeing in the broadcast industry is a new pool of people in engineering. How are vendors responding to that? You know, the traditional broadcast engineer was a particular beast. You can’t find them. I don’t know if that’s good or bad. We still need to leave behind the power to monitor, understand, and make changes. Or, if we’re the people coming in and being asked to make those changes, I need to provide a framework that makes it easy. What set’s Primestream’s solution apart? So we talk about dynamic media management… and the reason we talk about dynamic media management is the simple task of media asset management is really kind of wrapped by the rules engine around it. Some people are just struggling now to figure it out because they were built tightly integrated with all the components in their system in a walled garden. They don’t necessarily have the flexibility to do all of those things. They were limited by what they had and they could drive. Primestream’s solution is built in an open environment, so it always had to interface with third parties.